Practicing yoga has become incredibly popular over the past couples of decades and shows no signs of slowing down. Yoga is a term originally derived from the Sanskrit word “yuji” which represents a union, bringing together both mind and body. Yoga is most known for incorporating breathing techniques, encouraging meditative-like practices, promoting relaxation, reducing stress, and improving overall mobility. In my personal experience, yoga is a little over-hyped if you go an talk to your local yoga instructor. They will essentially tell you it will bring whole-body health, burn fat, build muscle, cure cancer, do your taxes, and go to the DMV for you. All kidding aside, there is definitely a bunch of positive things you can derive from yoga, but it’s important as well to know what we are getting into, and how this actually bridges itself towards benefitting hockey athletes. My purpose with this blog is to discuss the real scientific benefits of yoga for hockey players (and not the pretend ones) and provide you with a framework to move forward from so that you can incorporate yoga into your routine in the most intelligent and beneficial way possible. Stress can effectively be measured in the body by measuring certain inflammatory markers in your blood/urine sampling. In fact, many of the same acute markers for inflammation that are present immediately after hard training can be created in the body by psychological stress alone. Research in this area suggests that yoga is highly effective for stress reduction because the yogic breathing that accompanies it helps clear stress hormones in the body as well as activate glutathione pathways in our body which turn on our own production of important antioxidants. Yoga’s effect on stress reduction has been seen multiple times in the literature (1, 2, 3, 4), and that reason alone is enough to negate its use for hockey athletes who are frequently subjected to both mental and physical stressors on a weekly basis. Through similar mechanisms mentioned above, yoga has been demonstrated within the research to lower total body inflammatory markers as well. 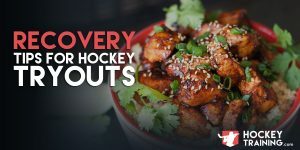 This is important to care about because inflammation is connected to both post-exercise recovery rates and blood sugar control – two extremely important variables that need to be in check if optimal hockey performance is something you desire. Those who did yoga, and those who didn’t. And the end of the study, those who did yoga had much lower inflammatory markers than those who didn’t (5). Beyond this, yoga has also been demonstrated to reduce inflammatory levels within the body in only 12 weeks in breast cancer survivors (6). Although these studies aren’t “hockey-specific” I still consider them highly relevant as inflammation within the body is detrimental to anybody, let alone athletes who are trying to stay lean and perform at their best. Chronic pain is a major problem in the hockey industry. If you’re reading this right now, you probably have hip, shoulder, elbow, or knee issues. And if you don’t, I’m certain you know somebody who does. This pain negatively affects our performance in the gym and our performance on the ice, not to mention it just simply reduces overall life quality. Although pain is an annoying thing to deal with, yoga is producing a growing body of evidence suggesting that it can really help those with chronic pain issues. One study found that yoga was able to significantly reduce pain in those with carpal tunnel syndrome (7), and another study was found to both reduce pain and improve overall physical function in those who have osteoarthritis (8). Since hockey players standard “strains” and “knots” are much less serious than these issues, you can bank on it that yoga can provide some benefit in this area of your life if you are somebody who has chronic pain issues in your body. This one might seem obvious to you as yoga is all about breathing technique, but I have learned as a seasoned coach not to just “take peoples word for it” and instead investigate the data myself. Not surprisingly, I found that yoga significantly increases vital capacity, lung function, and oxygen delivery (9, 10). 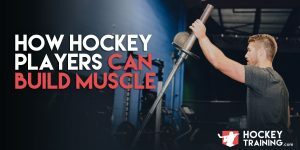 For hockey players, improving breathing means building endurance, optimizing performance, and reducing the time it takes to catch your breath in between shifts out on the ice. Sleep is the king of recovery, period. I talked about sleep extensively in this blog if you want to learn more. So, when it comes to improving sleep in any way, shape, or form; I’m in. Although I’m not surprised to find out that yoga has been connected to an improvement in sleep quality, it wasn’t something I was actually expecting to see demonstrated in legitimate clinical trials. Studies have clearly shown that incorporating yoga into your routine can help promote better sleeps at night. For example, one clinical trial compared either doing yoga, doing nothing, or taking an herbal formula – the end result was that the yoga-practicing group fell asleep faster, slept longer, and felt more rested upon waking (11). Talk about a landslide victory. This makes sense though, as yoga has already been connected to increasing the secretion of a hormone known as melatonin, which plays a huge role in both sleep length and sleep quality (12). Also, as mentioned above, I would suspect that the overall reduction in mental stress from doing yoga helps to “let things go” before bed and calm you down, priming you for a good night’s sleep. There is an abundance of evidence supporting these claims, both scientific and anecdotal. People know this part of yoga works. But just to make things clear and keep with the theme of science over hearsay, I want to point out that one study investigated doing 10 weeks of yoga on male college athletes. In the end, doing yoga significantly increased several measures of flexibility and balance, compared to the control group (13). Another study found that yoga increases flexibility almost four times better than calisthenics (14). The results could continue, but I think you’re getting the idea and probably already knew this one, but it’s always nice to have some evidence to back up the claims. As for how we can connect this one to hockey… how can’t you? Improving flexibility, balance, and mobility are fundamental aspects towards moving fluidly, explosively, and efficiently out on the ice. Should Hockey Players Do Yoga? My initial goal was to seek out what the real science has to say about yoga, and not just what the local fanatical instructors are saying. 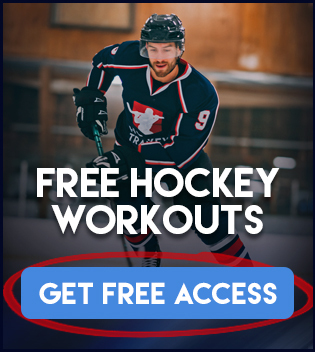 Some myth-busting was done in my search, but for the most part, hockey players can receive immense benefits from incorporating 1-3 yoga sessions per week into their lives. Although, I do not recommend it as a form of strength training. Some instructors go as far as to say yoga builds strength and muscle, and although this may be true in some populations with very little training experience, I do not recommend this be your sole provider for strength and muscle mass gain. Yoga demands mental awareness and body-awareness, as in connected-awareness (Mind + Body) – which demands complete mindful attention. You become aware of your body via the combination of stretching, breathing, relaxation, and movement. 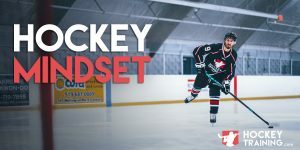 Incorporate hockey specific yoga into your routine as a form of active recovery, and you will be receiving a major “bang for the buck” session that is directly conducive towards hockey performance. Love this! As a men’s leaguer now, I try to do yoga twice a week. My cousins wife got me into it, before skating I try to do yoga to stay loose.